University of Mississippi doctoral student Sarah Heying has earned a highly competitive fellowship that will send her to Texas A&M University this summer to participate in a unique research opportunity. 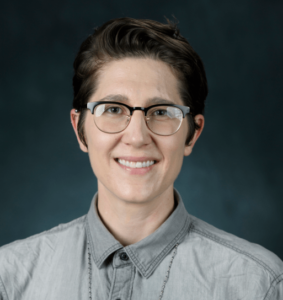 UM doctoral student Sarah Heying plans to spend the summer at Texas A&M University conducting research funded by the Liberal Arts/Cushing Library Don Kelly Research Collection Fellowship. Photo by Thomas Graning/Ole Miss Digital Imaging Services.